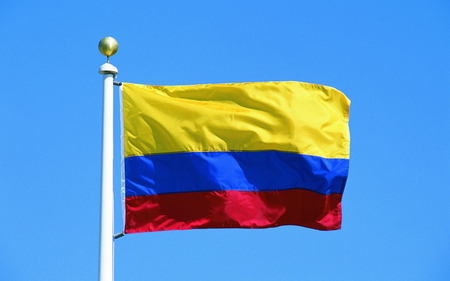 On 23 September 2015, the Government of Colombia and the Revolutionary Armed Forces of Colombia – Popular Army (‘FARC-EP’), issued a joint communique, in which they made public the core aspects of their agreement on justice matters (‘the New Agreement’), including, in particular, the establishment of a Special Jurisdiction for Peace. The next day, the Prosecutor of the International Criminal Court (‘ICC’), Ms. Fatou Bensouda, made a preliminary statement thereon, in which she highlighted that “any genuine and practical initiative to end the decades-long armed conflict in Colombia, while paying homage to justice as a critical pillar of sustainable peace, is welcome by her Office”. She also stressed her hope for the New Agreement to comply with this goal, and her cautious optimism as “the agreement excludes the granting of amnesties for war crimes and crimes against humanity, and is designed, among other things, to end impunity for the most serious crimes”. But, what are the reasons for the ICC Prosecutor’s cautious optimism, if ever since the adoption of Legislative Act 01 of 2012 on the so-called ‘Legal Framework for Peace’ she has expressed, in all her annual reports on Colombia, her concern by the ample powers granted by it to the Colombian Congress? In my view, this can only be due to the significant difference between the role in an eventual transitional process in Colombia that the New Agreement seems to give to the investigation, prosecution and punishment of genocide, crimes against humanity and war crimes (‘ICC crimes’), and the limited scope of application of criminal justice provided for in the Legal Framework for Peace. In other words, if the Legal Framework for Peace reduced the role of criminal justice to a mere appendage of the transitional process, the New Agreement appears to restore it to its International Law status as an autonomous and necessary pillar of such process. The cornerstone of the criminal justice model provided for in the Legal Framework for Peace was the attribution to the Colombian Congress of the constitutional power to enact legislation banning the Colombian General Attorney from investigating and prosecuting ICC crimes. The only limitation to such broad constitutional power referred to criminal conduct: (i) amounting to genocide, crimes against humanity o war crimes; (ii) committed on a systematic manner; (iii) having sufficient gravity; (iv) being representative of the criminal activities of the organisations or institutions involved; and (v) involving the so-called ‘most responsible persons’. Only in the handful of cases in which all these cumulative requirements were met, the Colombian Congress did not have the power to ban the Attorney General from investigating and prosecuting ICC crimes. Nevertheless, even in such cases, the Legal Framework for Peace gave the Colombian Congress the power to enact legislation on alternative sentences of uncertain length, which could be served under a special regime, such as house arrest, or could even get suspended (this last option was subsequently declared unconstitutional by the Colombian Constitutional Court). As a result, the Legal Framework for Peace turned the investigation, prosecution and punishment of ICC crimes into a mere appendage of the transitional process in Colombia, departing significantly from the ICC Prosecutor’s request for their due consideration as a critical pillar of sustainable peace. It is in this context that one should understand the ICC Prosecutor’s repeated expressions of concern in recent years, which have been fully shared by the Inter-American Commission on Human Rights in its 2014 country report on Colombia, and by several bodies of the universal system for the protection of human rights. When the investigation, prosecution and punishment of those crimes that deserve the deepest social condemnation (ICC crimes), becomes a mere appendage of a transitional process, then one cannot but affirm the State’s failure to comply with its obligations, voluntarily assumed, to (i) provide protection against serious violations of human rights, and (ii) investigate, prosecute and punish such crimes. In light of this situation, the New Agreement constitutes a significant departure from the Legal Framework for Peace, which has never been accepted by the FARC-EP. At first glance, the New Agreement shows that all crimes of genocide and all crimes against humanity committed by the various parties to the armed conflict will fall within the Special Jurisdiction for Peace. This is of remarkable importance when considering – as explained by Prof. Jorge Giraldo in the 2015 Report of the Commission for the History of the Conflict and the Victims – that in an armed conflict with more than 250.000 casualties, for each member of the warrying parties killed in a combat operation between 1985 and 2000, there were seventy-nine civilian deaths. In subsequent years, this proportion fell dramatically to 1 out of 380. The New Agreement also shows that criminal proceedings before Special Jurisdiction for Peace will not be limited to the ‘most responsible persons’. They will also cover all those who, directly or indirectly, were involved in the commission of international crimes. Moreover, as a general rule, alternative sentences of 5 to 8 years of restriction of liberty – which are very similar to the alternative sentences provided for in the 2005 Peace and Justice Law for the purpose of promoting the demobilization of paramilitary groups – will be imposed, although they could be served in facilities other than prisons. It is certainly remarkable that after several years of hard bargaining, we end up with a criminal justice model for the Colombian transitional process that appears to be far closer to the 2005 Peace and Justice Law than to the 2012 Legal Framework for Peace. But certainly, the most striking feature of the New Agreement is the definition of the goals to be achieved by the criminal proceedings of the Special Jurisdiction for Peace. According to the New Agreement, such proceedings will be aimed at ending impunity, getting the truth, contributing to victims’ reparation, prosecuting and sanctioning those responsible for the international crimes committed during the armed conflict (especially the most serious and representative crimes), and providing guarantees of non-repetition. After hearing for several years in Colombia that truth and reparations should be provided for through extra-judicial mechanisms, and that criminal proceedings have little or nothing to do with providing guarantees of non-repetition, we have now a new legal framework that explicitly acknowledges: (i) the value of the judicial truth on individual responsibilities (which complements the contextual and historic truth provided for by extrajudicial mechanisms); (ii) the effective contribution of judicial proceedings to victims’ reparations; and (iii) the relevance of criminal proceedings to provide for effective guarantees of non-repetition. In other words, the New Agreement rejects the Legal Framework for Peace view of criminal justice as a mere appendage of the transitional process, and acknowledges its International Law status as an autonomous and necessary pillar of such process. This does not mean that what is known so far about the New Agreement contains no ambiguity. Furthermore, several aspects of it raise concern, such as, inter alia: (i) the exclusion from the Special Jurisdiction for Peace of war crimes of ‘insufficient gravity’ (which, nevertheless, fall within the ICC jurisdiction); (ii) the requirement of a link between crimes against humanity and the armed conflict; (iii) the reference to the Colombian Penal Code as the source of crimes against humanity, when no offence in such Code includes the contextual elements of crimes against humanity; (iv) the determination of which groups of individuals, who have already been found guilty of international crimes by Colombian courts, or are currently being prosecuted before such courts, may benefit from the alternative sentences of the Special Jurisdiction for Peace; and (v) the possibility of considering genocide or crimes against humanity as not sufficiently serious, for the purpose of avoiding sentences that constitute an effective restriction of liberty. As the full text of the New Agreement is not yet known, it is difficult to analyse at this time the true extent of these concerns. Nevertheless, it can be already stated that the New Agreement seems to restore criminal justice to the central position that, according to International Law, must have in any transitional process. As a result, the New Agreement is much closer to fulfil the ICC Prosecutor’s request for its due consideration as a critical pillar of sustainable peace. The challenge is now to ensure that the investigation, prosecution and punishment of ICC crimes remain in their restored position, and that once the fine print of the New Agreement becomes public, adequate measures are taken to address the concerns arising therefrom. I believe that this is what the ICC Prosecutor meant when she reiterated last week her commitment to continue its monitoring through the careful review and analysis of the provisions agreed by the Government of Colombia and the FARC-EP, as part of her preliminary examination into the situation in Colombia.